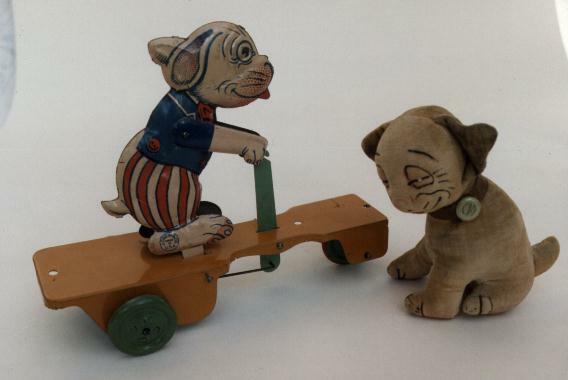 On the left, a tin plate pull-along Bonzo toy, made by J. Chein & Co. in the U.S.A. circa 1930. As he is pulled along, the gearing causes Bonzo to rock back and forth like a peddle scooter rider. The company also made a version of this toy with a wind-up mechanism. On the right is one of the many soft toy Bonzos made by Chad Valley Co. Ltd. in England. 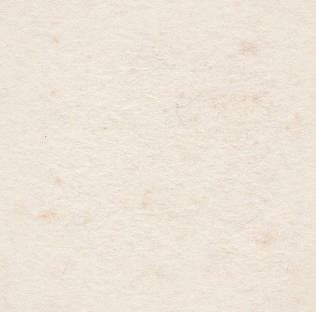 They were made from 'hand-coloured velveteen', and you could get either a 'Small sitting model' for 8/6 - 8 shillings and sixpence (as above), a 'Jointed model to sit or stand' for 10/6, or a 'Standing model with patent spring legs enabling the Dog to perform a variety of tricks' also for 10/6.